Insert, twist, secure. 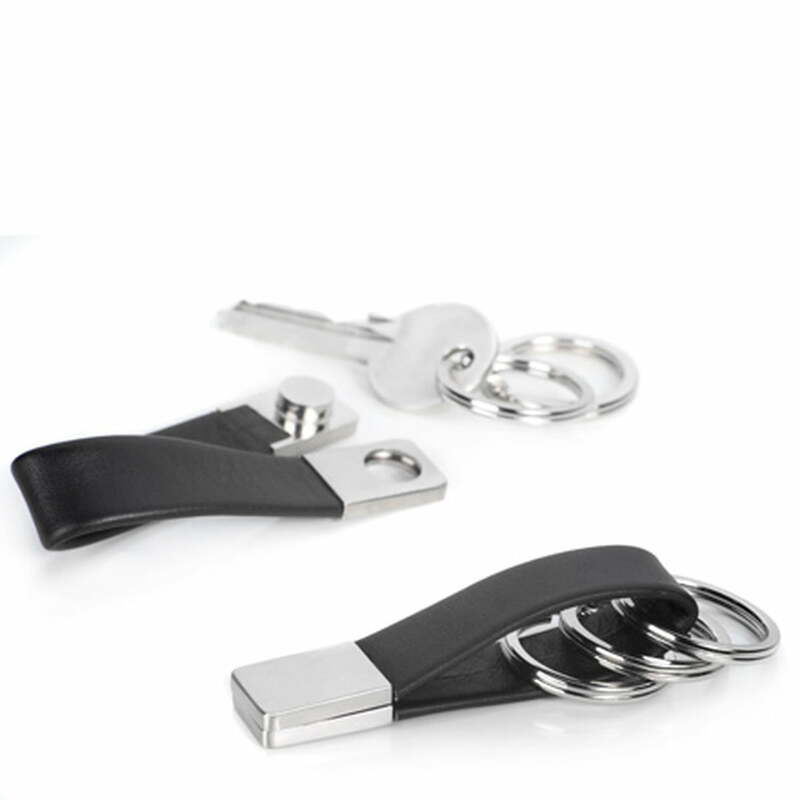 The key holder TWISTER makes life easier. Und more beautiful! The Twister Key Holder gets the hang of it. 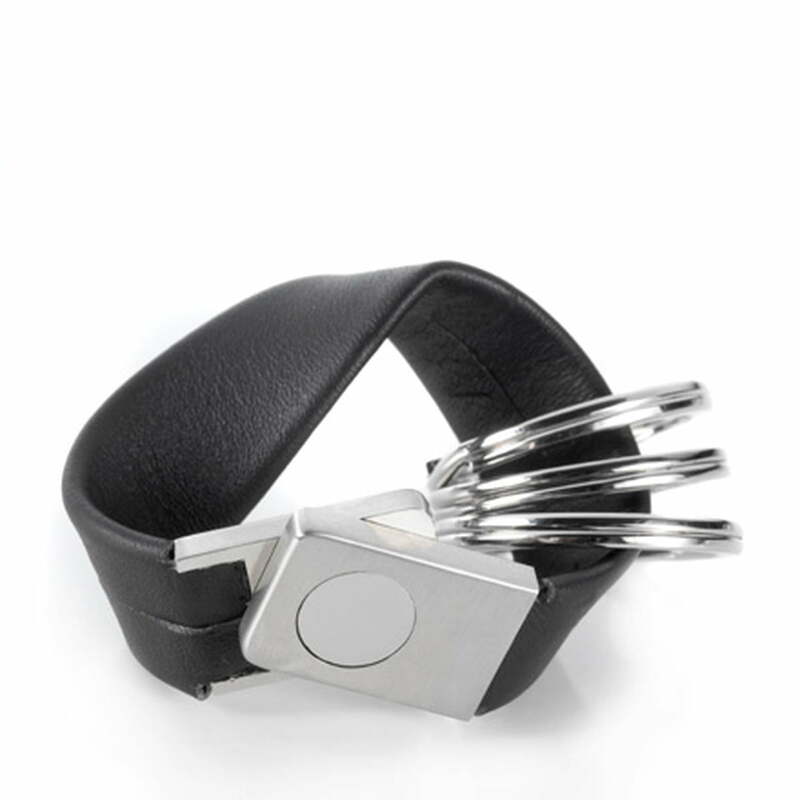 The twist closure is made of metal and secures keys to the leather strap. Attach your keys to the metal rings, insert these onto the leather strap, connect the metal closure and turn the band – your keys are now safe, organised and beautiful. Twister combines timeless design with an innovative idea. Simply refined! Twister is yet another smart product of the cooperation of ding3000 and Troika.